09/01/2013: OLPCA announce their new learning tablet and system, Facebook tease something they're 'building', WLM being retired and much more! One Laptop per Child Association release their new learning system and XO tablet! In case you haven't heard of the One Laptop per Child Association then they are essentially a company with a dream, which you might have guessed is to put a computer in the hands of every child in developing countries to bring them up to speed on the expectations of the modern world! (You can read more about them here). 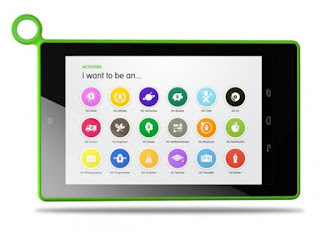 The organisation has turned up at CES this year to show off two new products: the first is the XO tablet pictured above and they also exhibited the XO Learning System, which is also the interface of the tablet. Firstly, the XO Tablet is currently expected to pop up at your local Walmart and on their website sometime in the future. This will have the XO Learning System installed on it and essentially it's a software package made to help the child learn. It promises to channel creativity and divert energy away from annoying things to the 12 different 'dreams' which your child can then learn from. The 'dreams' are actually just jobs and they're introduced through the “I want to be...” and then a click will take the child through the things which make successful doctors, musicians, scientists and things of that nature! Each dream offers books, games, and videos which are tailored towards children from the ages of 3 to 12. Thankfully you won't have to cough up money for extra content because there isn't really any which is probably for the best seeing as the children will be using these! The XO Learning System, will be available for other manufacturers to license and Sakar International has already taken up that offer and is currently building one for its Vivatar brand. Sakar will soon produce a 7" slate, but we don't know anything about either the design or the specifications. Similarly price, availability and hardware specifications are currently AWOL for the XO tablet too. If we get hold of the details we'll be sure to let you know! Microsoft has announced that Windows Live Messenger will be retired on March the 15th and the company wants people to transfer over to Skype, which seems like a logical step given the better brand recognition and arguably better capabilities of Skype! The Unwired View things that Verizon will be offering a the Droid Razr M and the Nokia Lumia 822 in lovely new purple and red hues especially for Valentines day! If you're interested then the guys think that they'll be offered for around about $50 on contract so you'll probably be able to find them at either Amazon or BestBuy for next to nothing! Verizon has announced that they have activated 9.8 million smartphones in Q4 2012, a new record for Big Red. The carrier was keen to point out that they activated a “higher mix of Apple smartphones” than normal. We will have some more concrete figures around January 22nd and we'll be able to see if AT&T sold more phones than Verizon in Q4! Just for reference in Q3 Verizon outsold AT&T selling 6.8 million to 6.1 million! Those of you living in the UK will soon see the closure of Jessops! The iconic camera brand has entered administration and currently we're not sure of the future for their 192 stores and around 2,000 employees. The troubles Jessop is facing is symptomatic of the move towards internet shopping instead of heading to the typically more expensive high street! Adobe has rolled out security updates to their Acrobat, Flash, and Reader programmes. The hope is that these updates will fix the problems which have been causing computers to crash! The GameStick console from Kickstarter, which we reported on a few days ago, has now smashed through its funding goals and has $280,000 worth of backing, they only want $100,000! We'll give you more details on the device as it starts to become a reality! 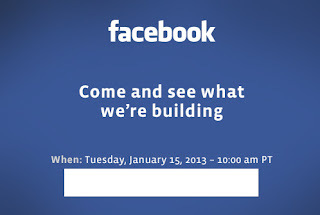 And finally, Facebook has sent out invites offering journalists the opportunity to 'come and see what we're building'. This sounds slightly ominous: we're not sure what it is at the moment, but we assume it'll be some sort of connected device, we're reluctant, and slightly concerned, to think that this could be a Facebook phone, but you never know! There's not too long to wait to find out either, the event is scheduled for the 15th of January!